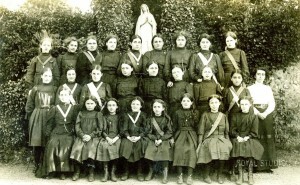 100 years of educational use began when the nuns of the Convent of Nazareth extended the buildings and founded a school in 1904. We have an insight opening up the world of the convent school through postcards of the time. Click here> Postcards from the Past part 1 and here> Postcards from the Past part 2 for down-loadable resource containing fascinating photos.